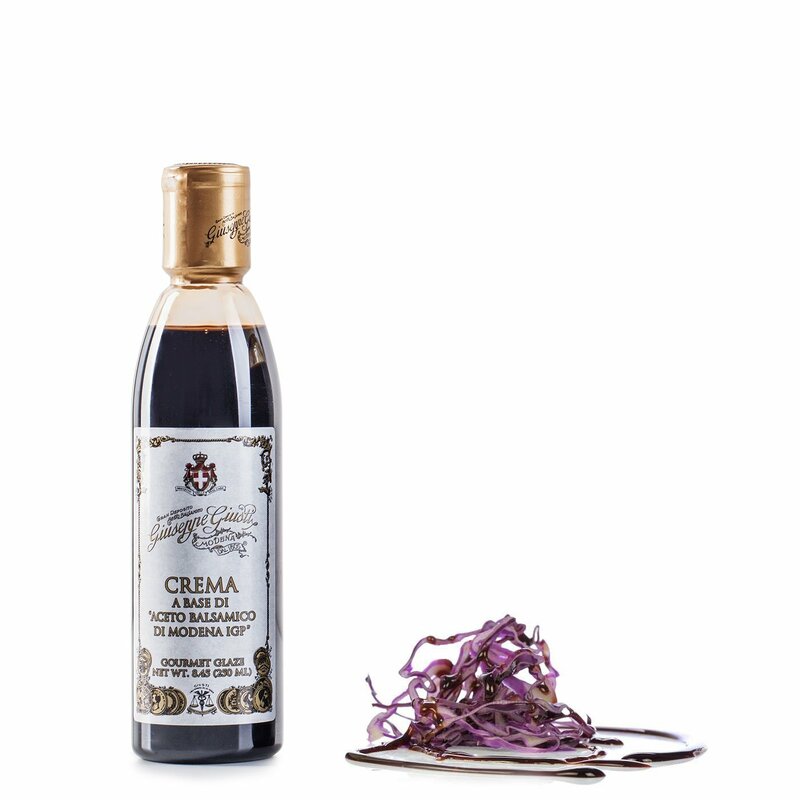 The Balsamic Glaze based on Balsamic Vinegar from Modena IGP by Giuseppe Giusti is an irresistible condiment that will bring out and enrich the flavour of various dishes, both sweet and savoury. The typical Balsamic Vinegar of Modena has been united here with cooked grape must and corn starch to create a unique consistency and taste such that Eataly just couldn't resist. A condiment that really can't be missing from your pantry. Ingredients Balsamic Vinegar of Modena IGP (wine vinegar, cooked grape musts), cooked grape musts, glucose syrup, modified corn starch. Contains sulphites. For more information on product labels, please contact our Customer Service department. The information on the labels of the products may vary for reasons beyond our control, therefore, there may be discrepancies between the information on the site and that on the products delivered. Please always check the information on the product before consumption or use. 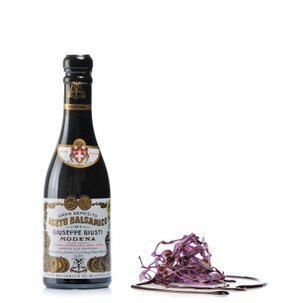 Since1605, one of the producers that best exemplifies the Balsamic Vinegar of Modena tradition is undoubtedly Giuseppe Giusti. 17 generations have passed down the unique recipe that continues to be used today, a strong artisan tradition that attends to every minimum detail and a profound love of Italian cuisine. Eataly has chosen Giusti because it wants to make available genuine and high quality condiments to be used in the household kitchens.